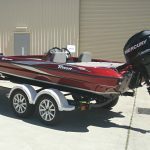 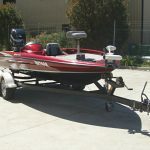 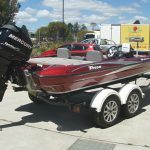 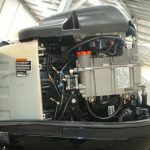 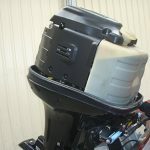 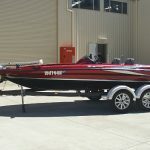 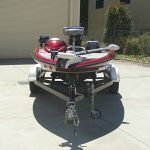 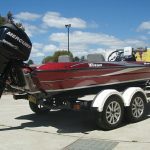 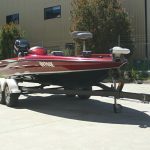 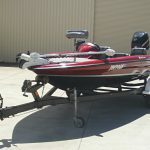 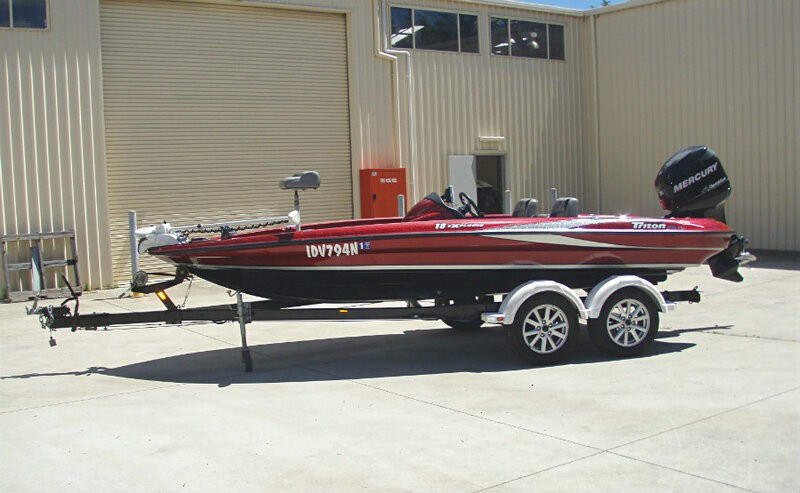 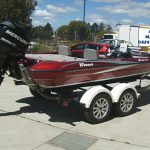 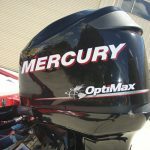 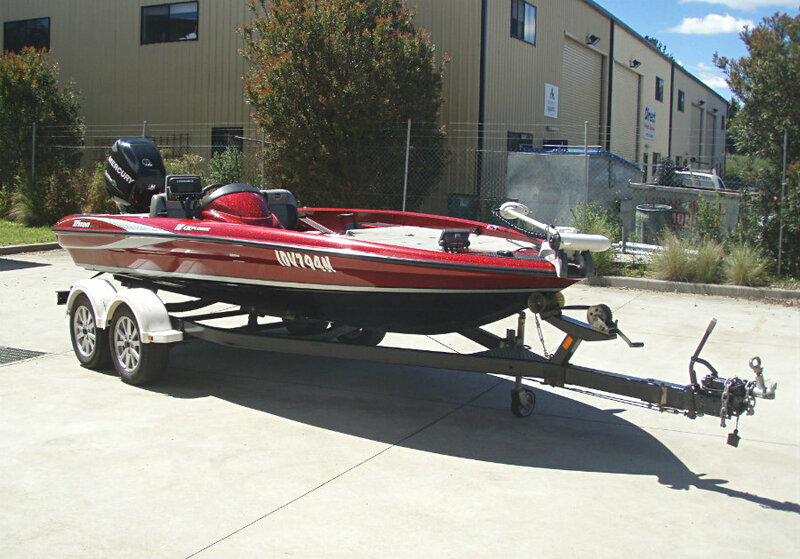 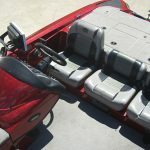 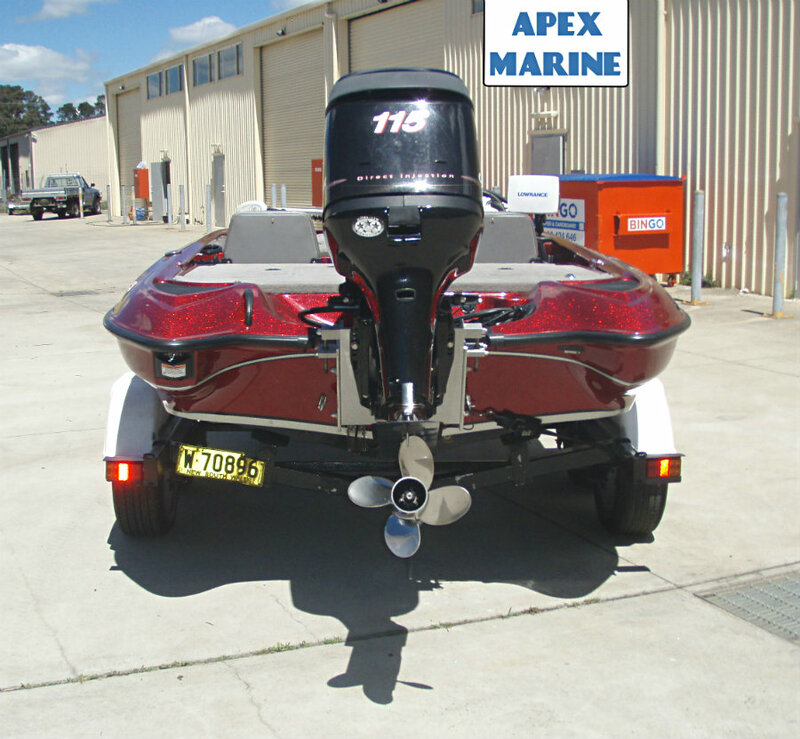 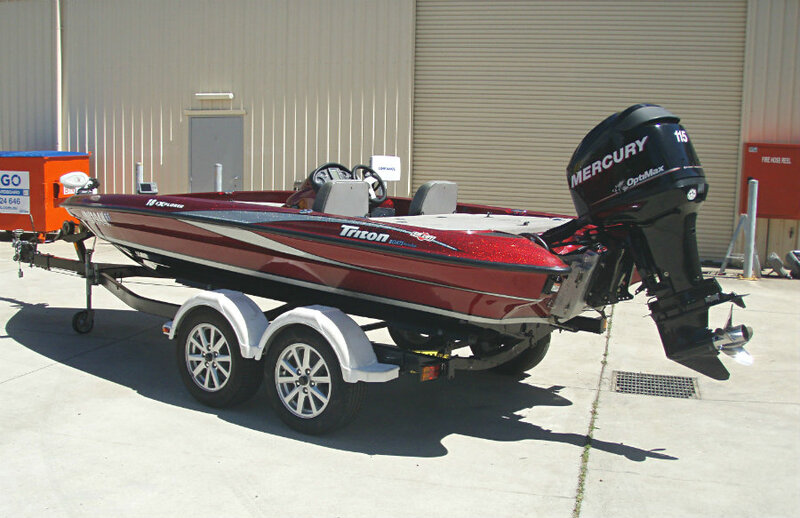 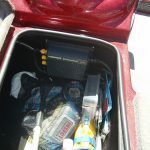 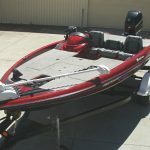 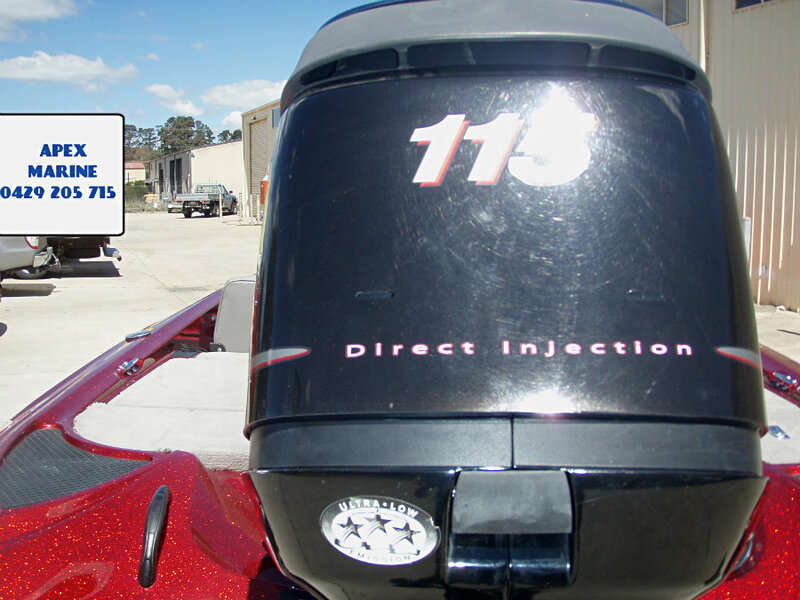 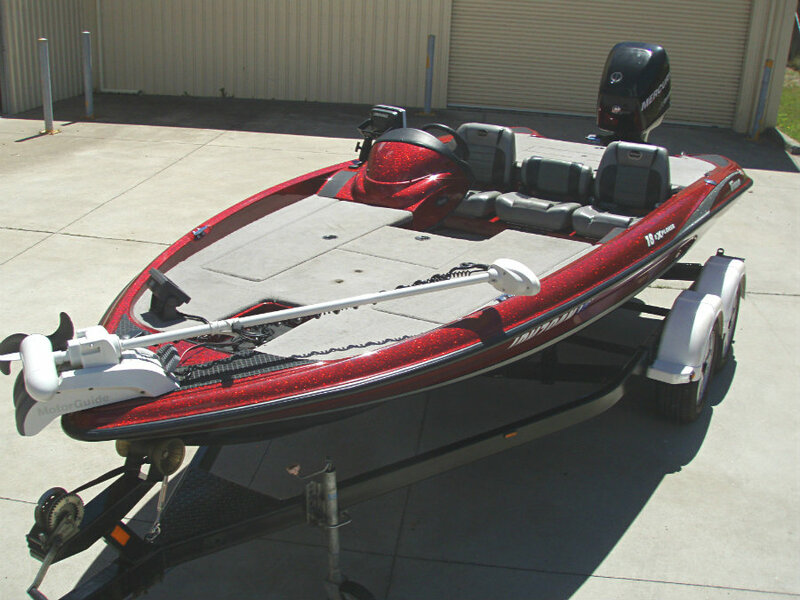 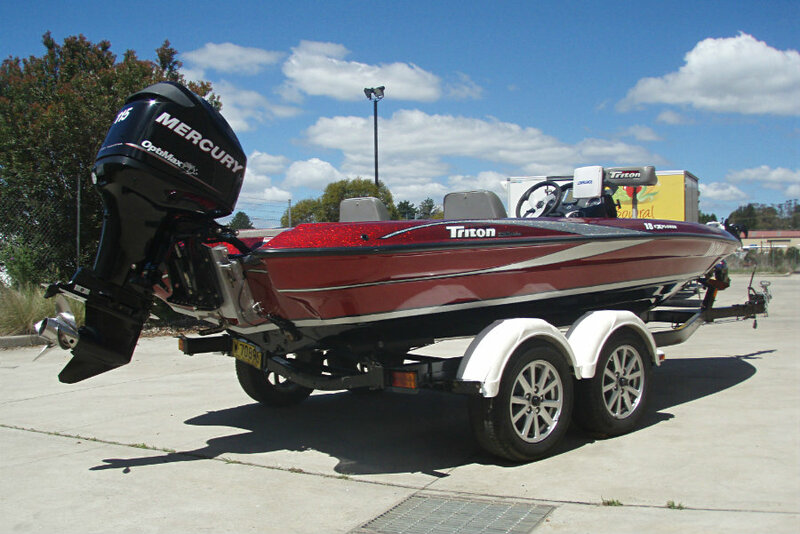 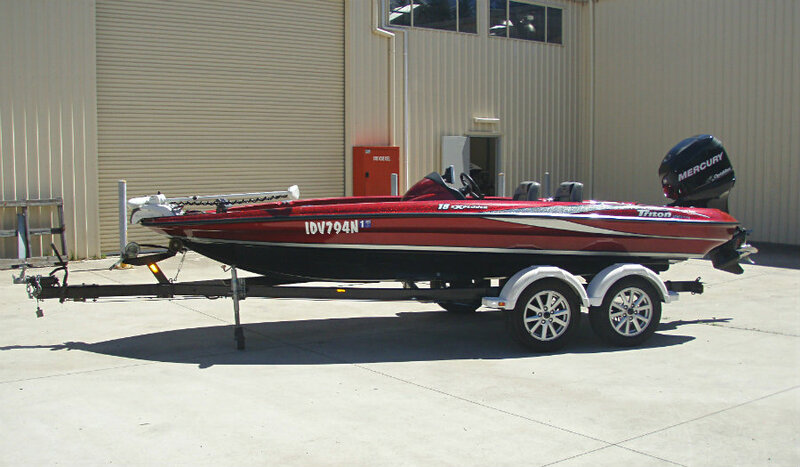 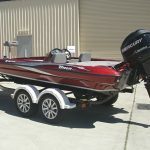 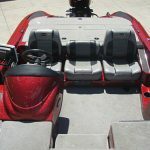 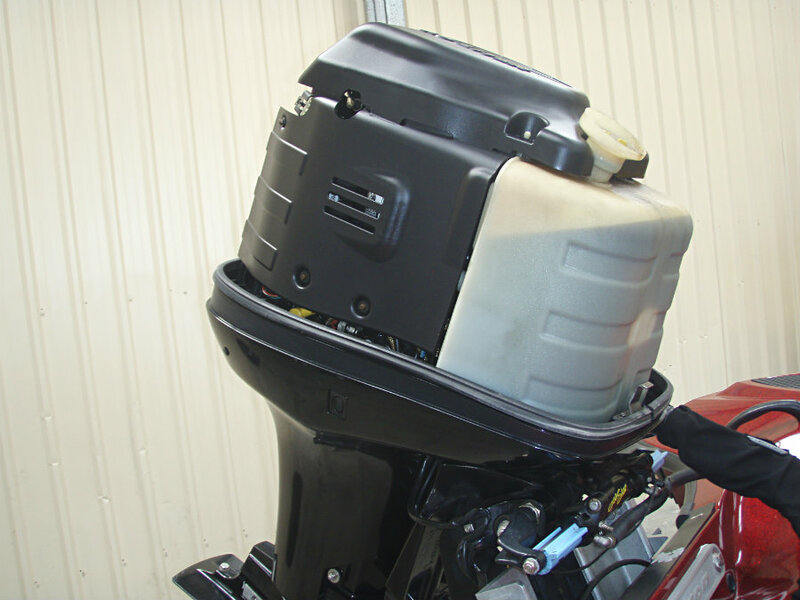 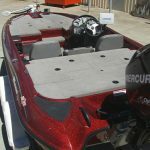 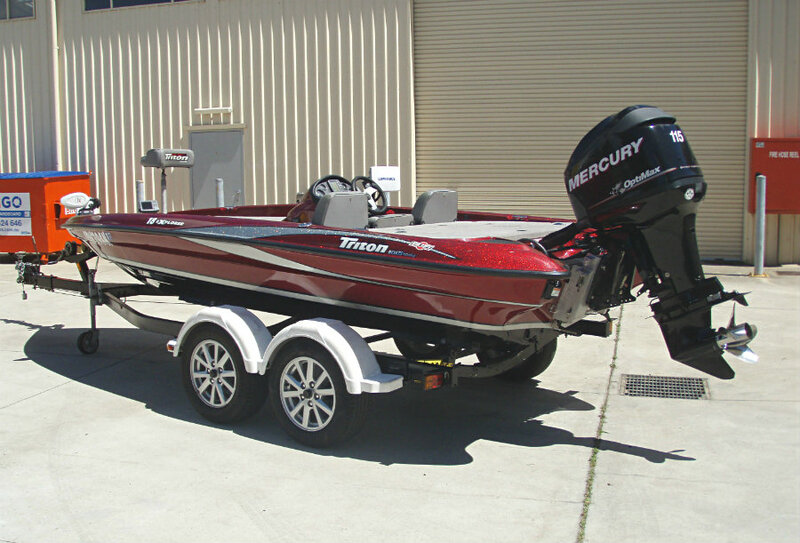 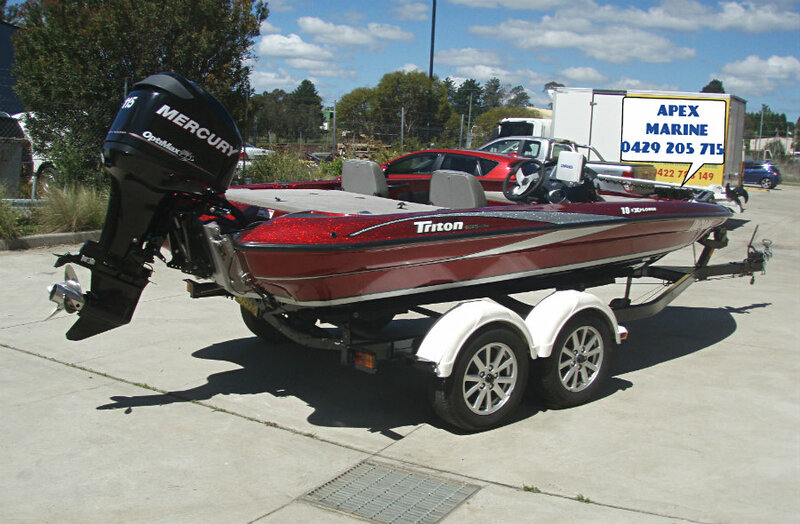 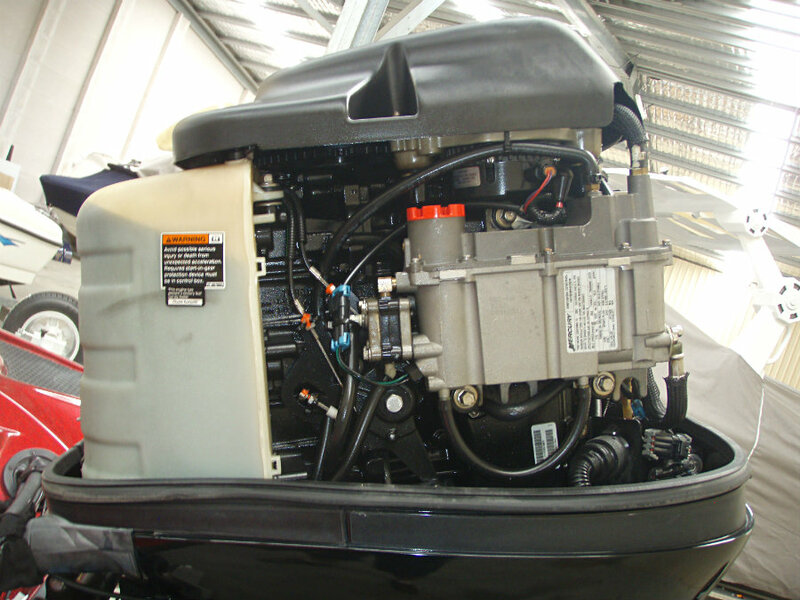 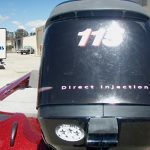 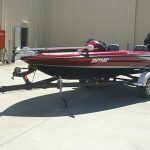 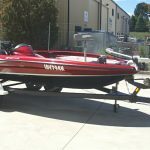 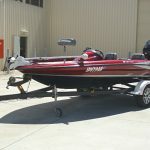 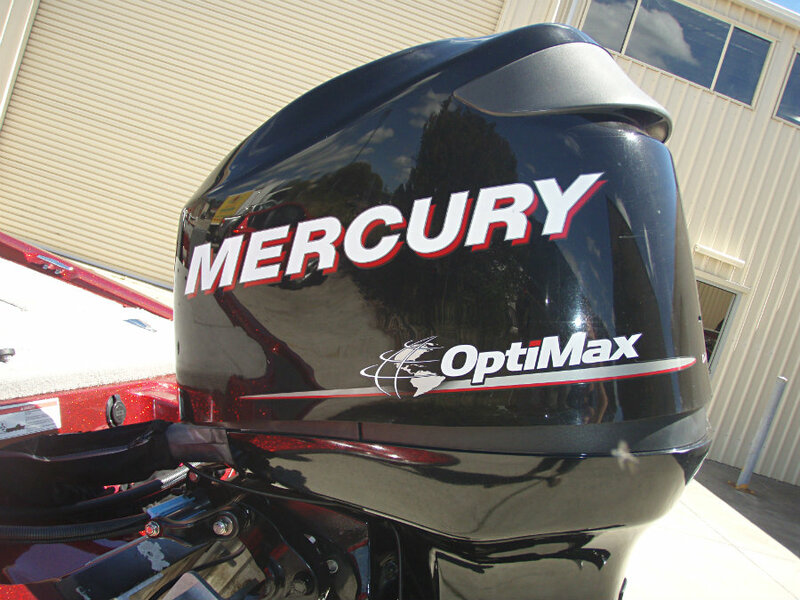 2009 model Triton 18 Explorer Tournament Bass fishing boat powered by a 115hp 1.5L 3-cyl EFI Mercury Optimax ‘Direct Injection’ 2-stroke outboard engine with only a very low 174 hours of use. 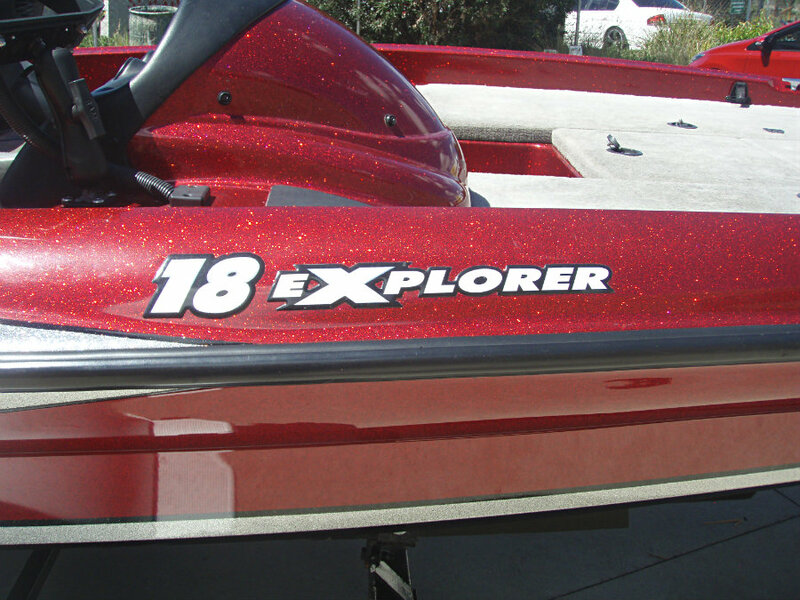 Designed with input from Triton’s legendary pro staff, the 18 Explorer is the perfect bass boat for the serious weekend angler. 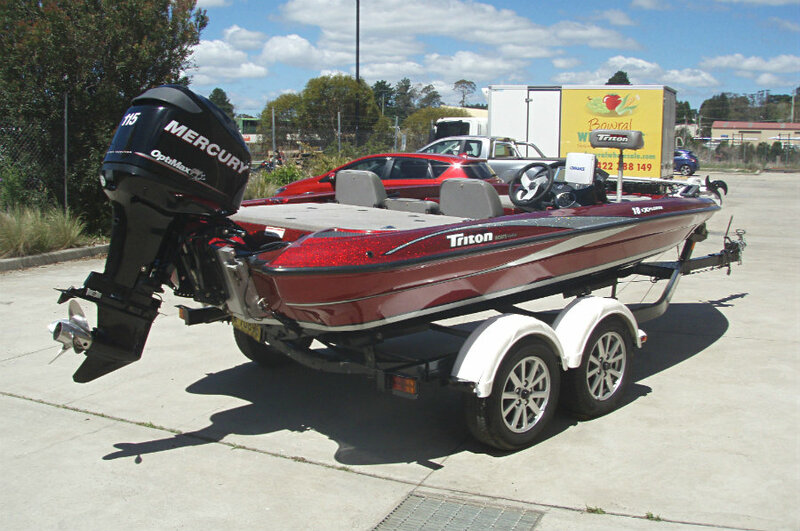 It’s a genuine Triton through and through, with wood-free composite construction, competition-proven interior layout, advanced fishing features, sizzling performance and a smooth, dry ride. 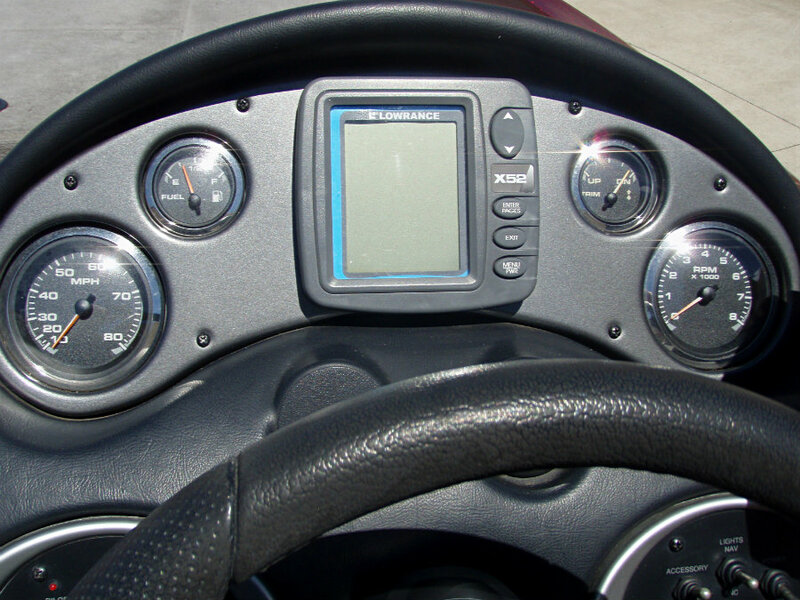 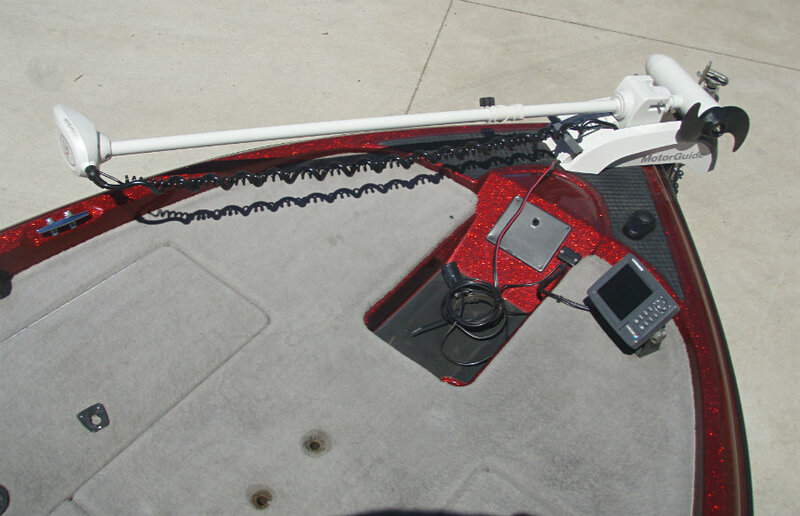 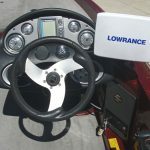 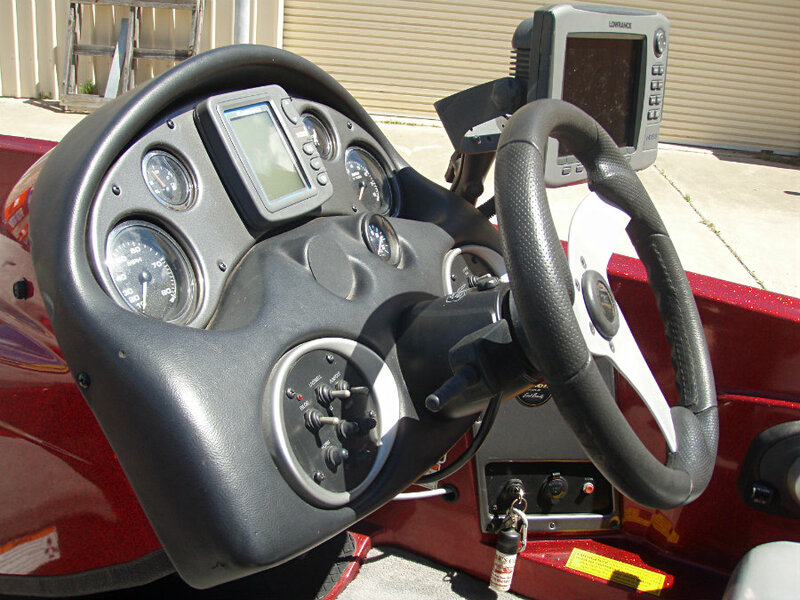 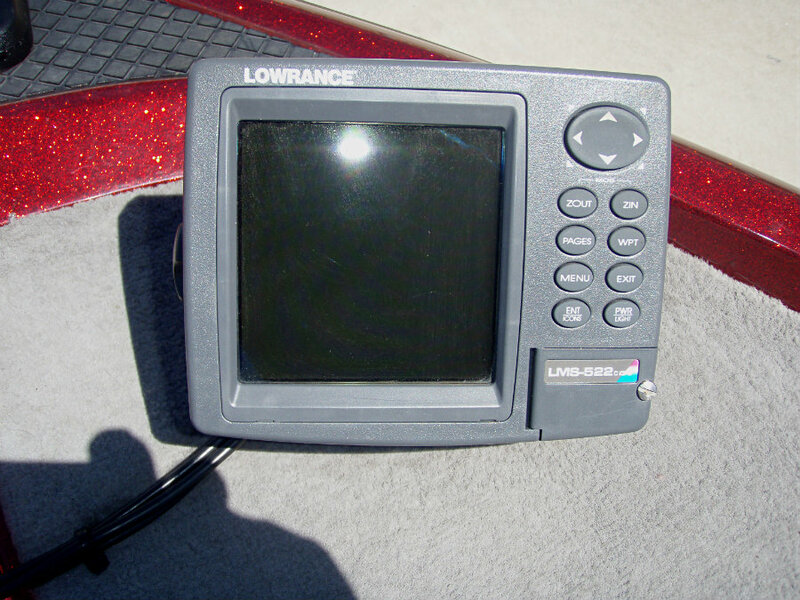 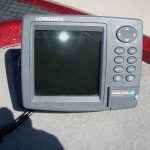 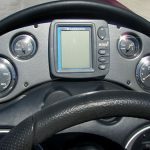 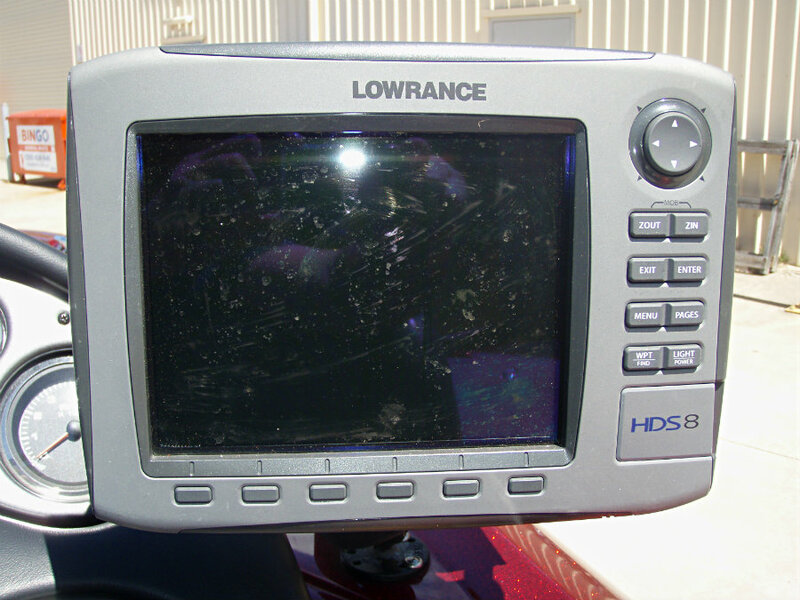 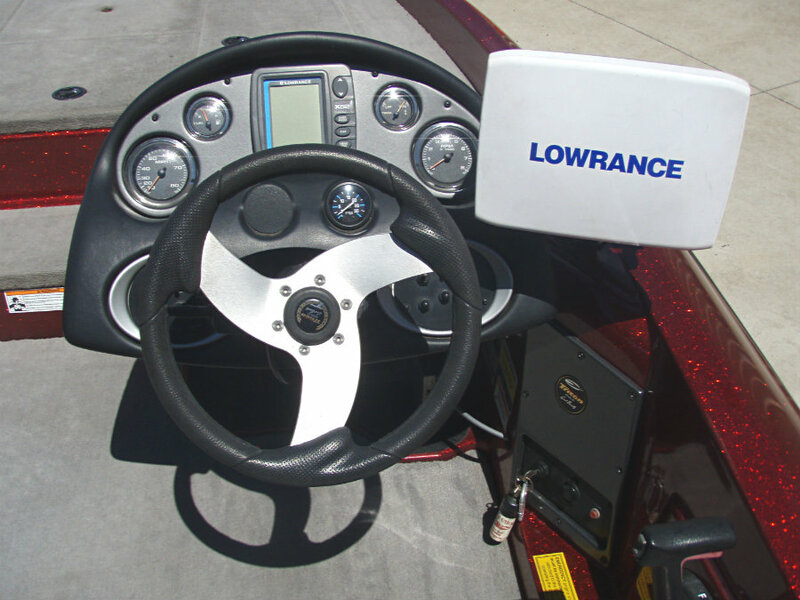 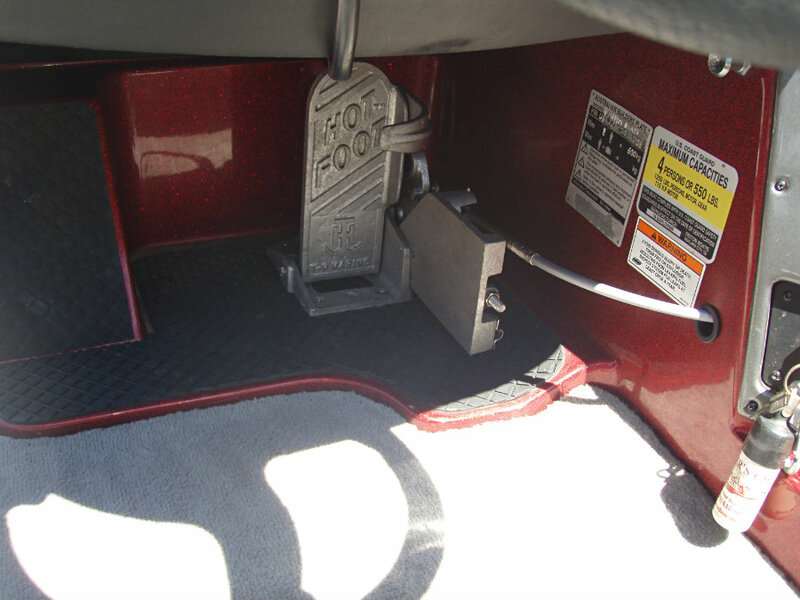 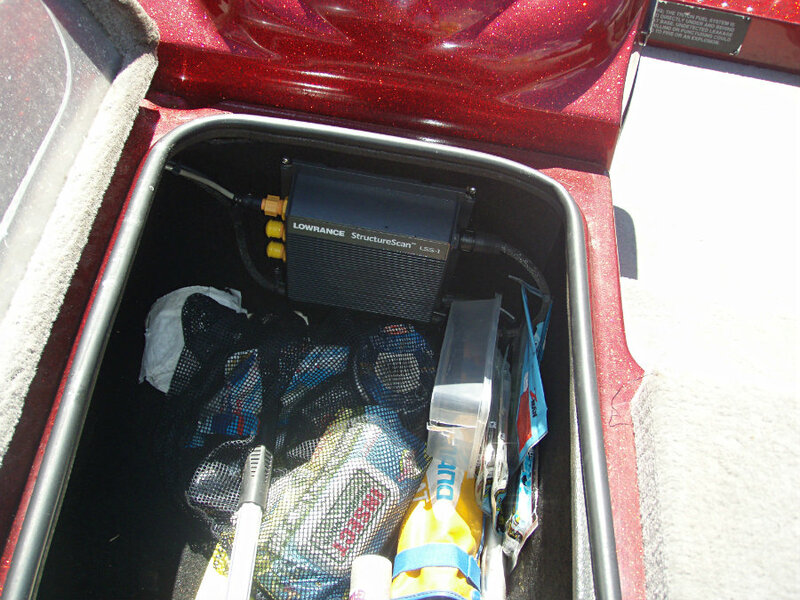 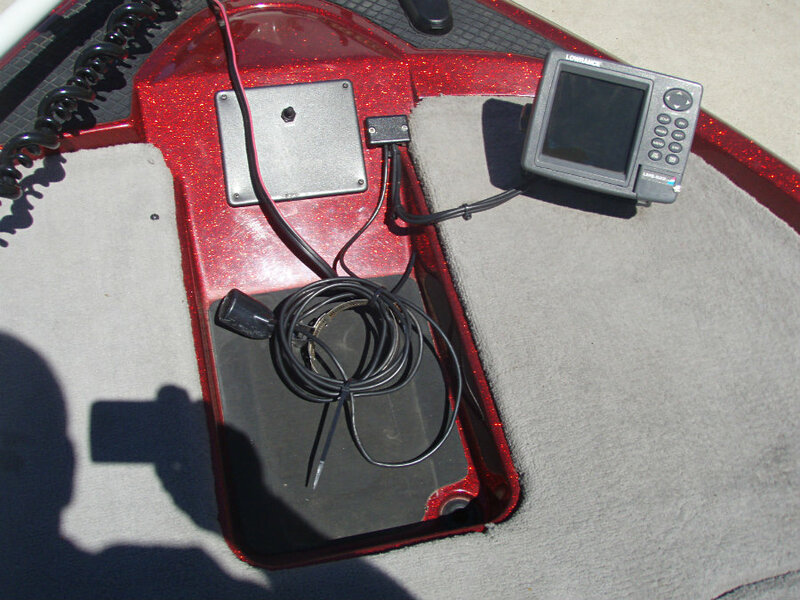 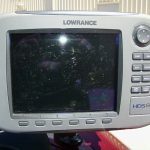 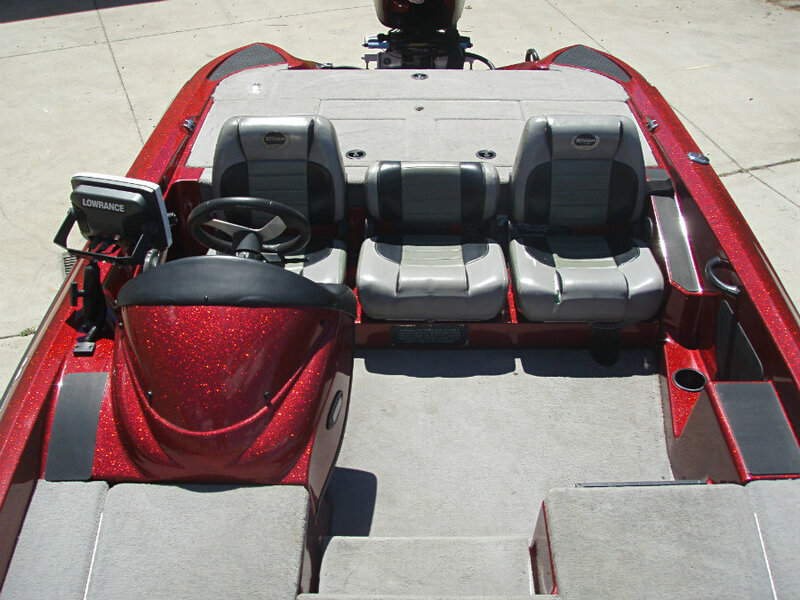 Everything you need to shoot to the top of your bass club’s point standings comes standard, including twin casting decks, massive rod and tackle storage lockers, MotorGuide saltwater edition trolling motor, Lowrance electronics, pro aerated livewell, ‘Hot-Foot’ pedal & blinker trim. 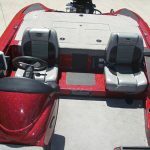 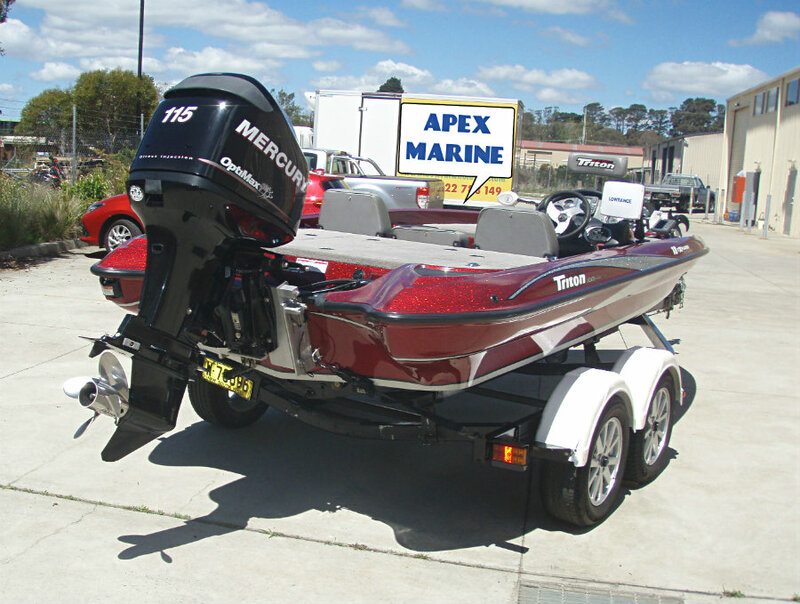 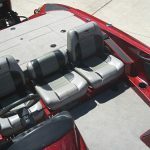 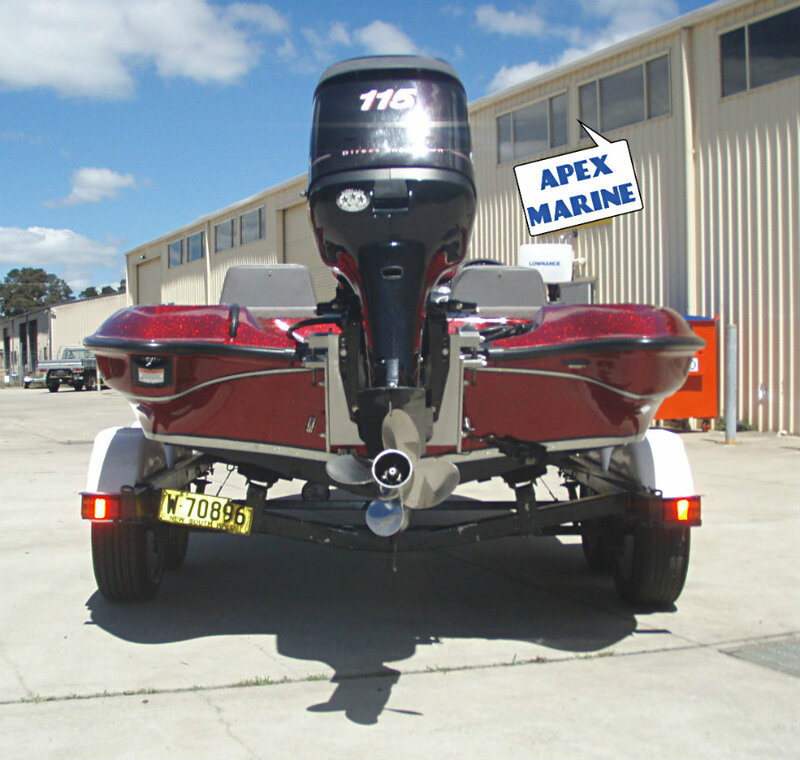 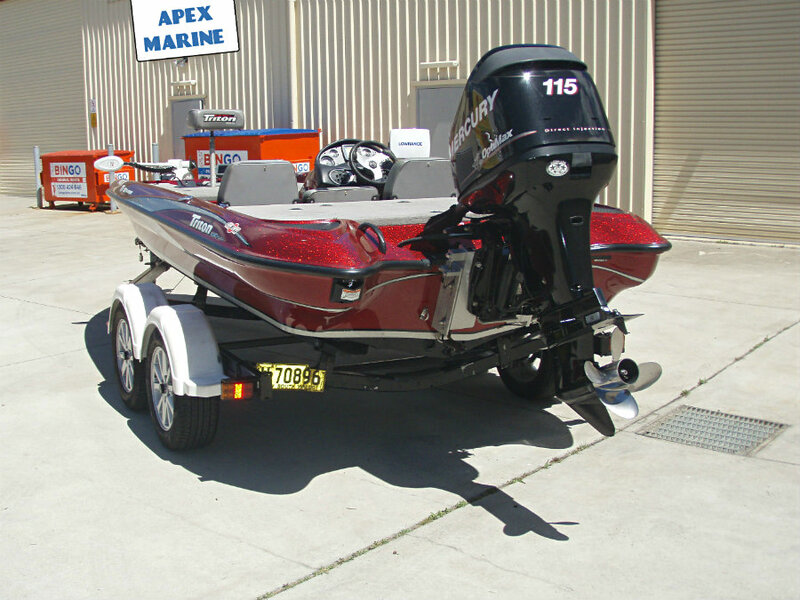 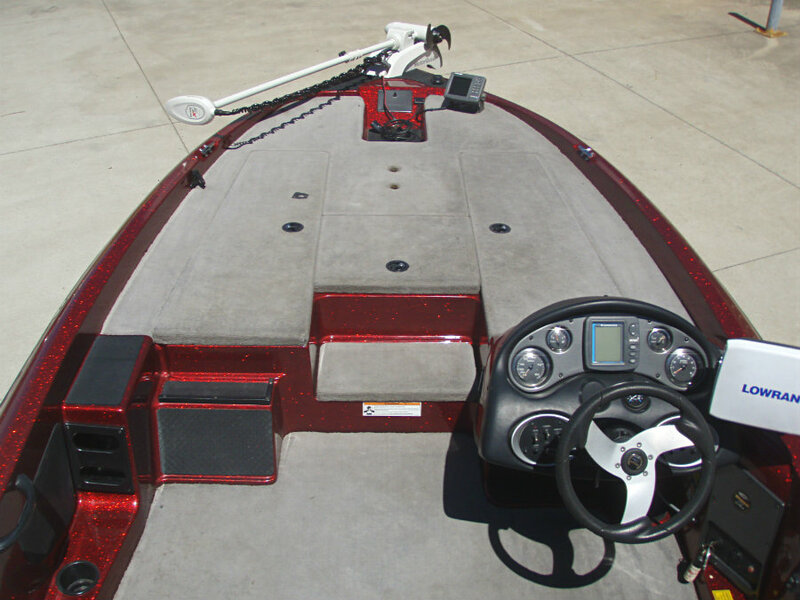 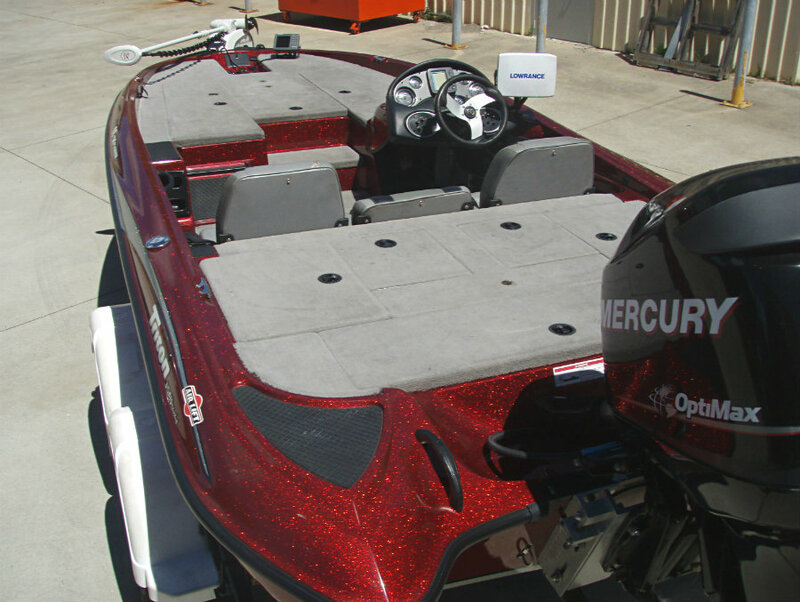 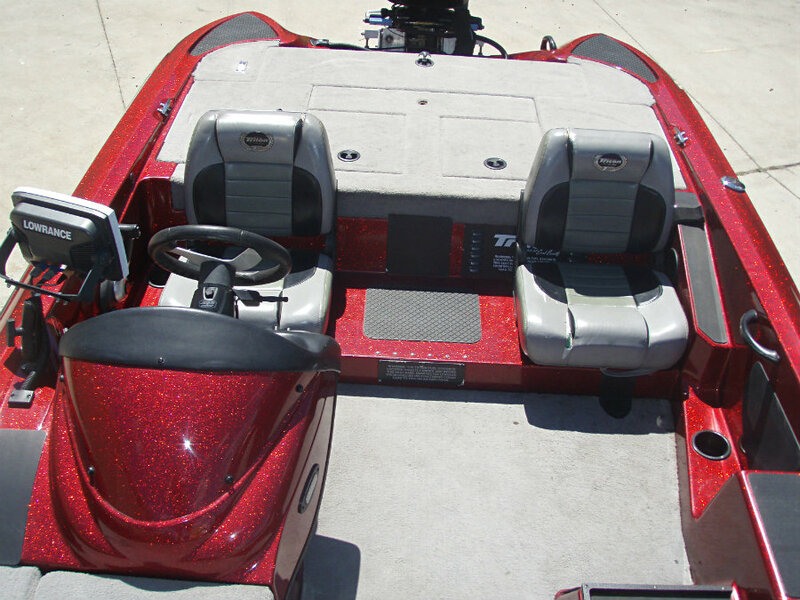 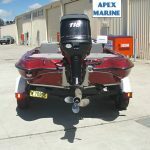 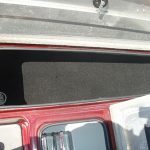 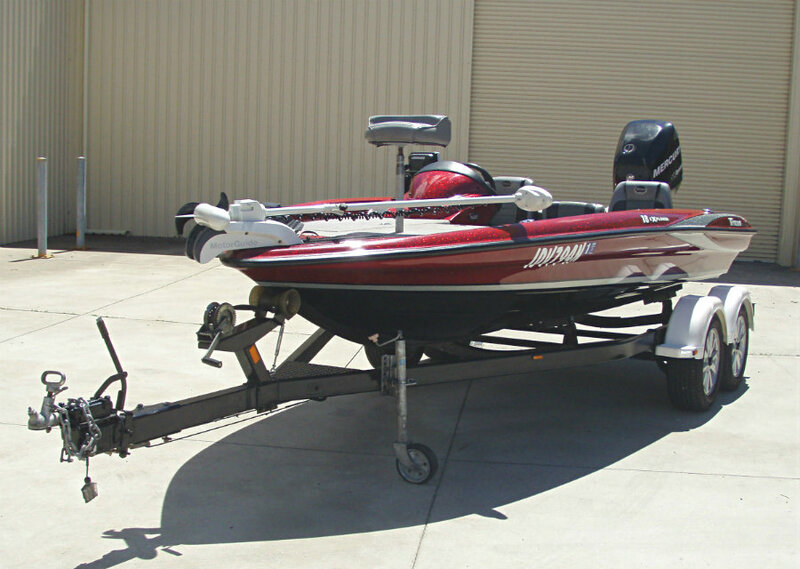 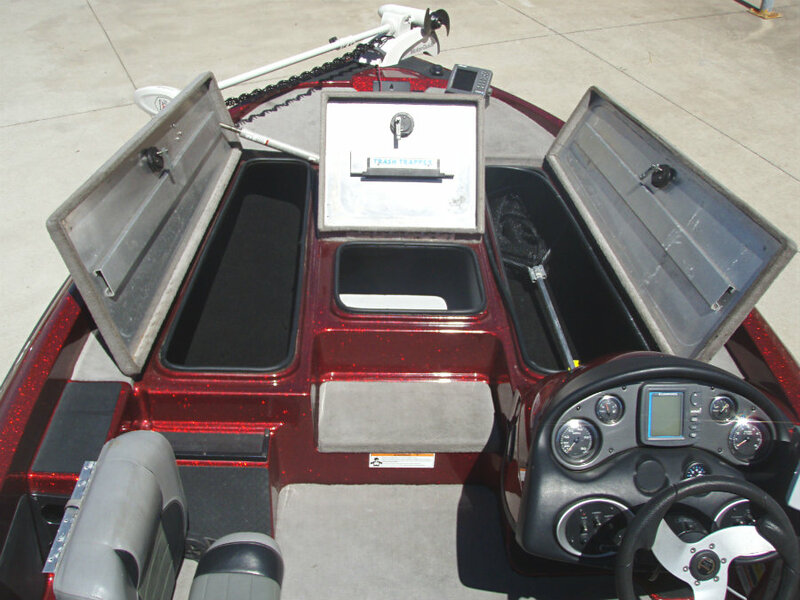 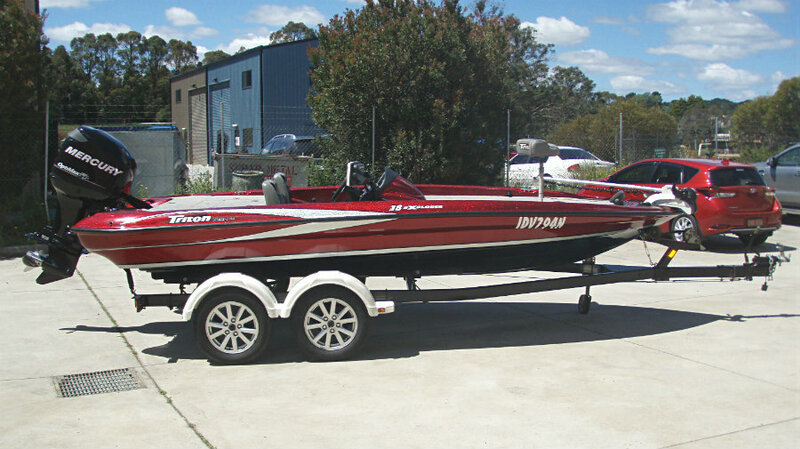 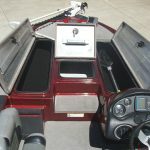 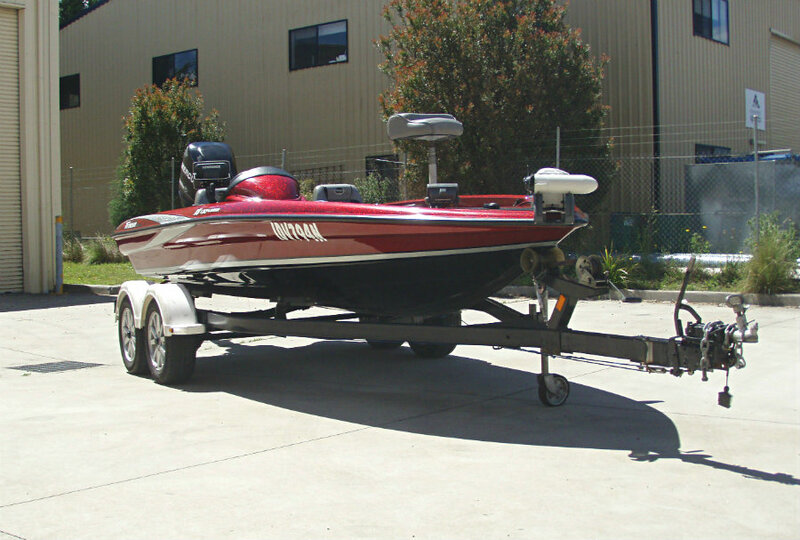 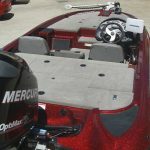 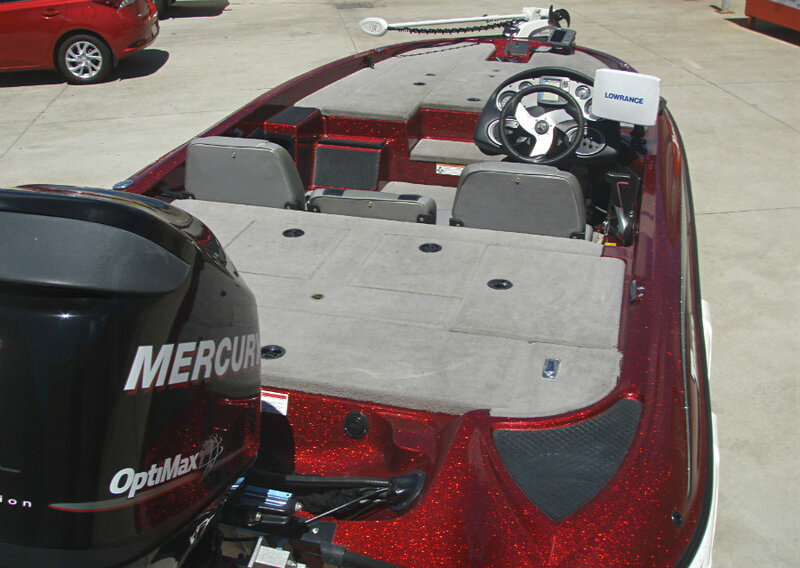 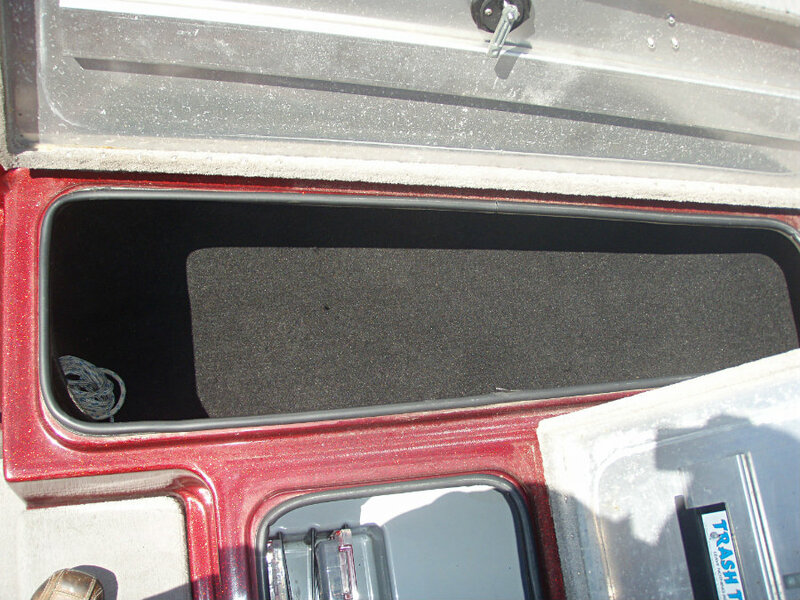 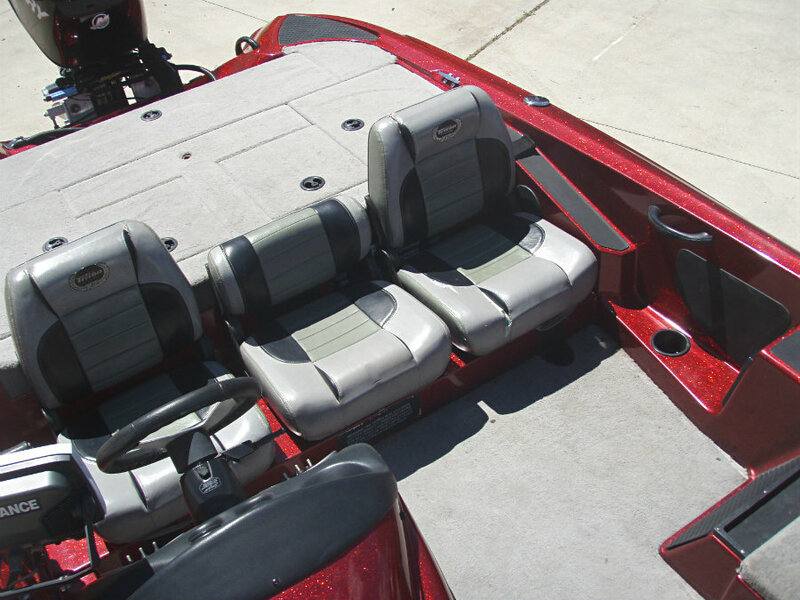 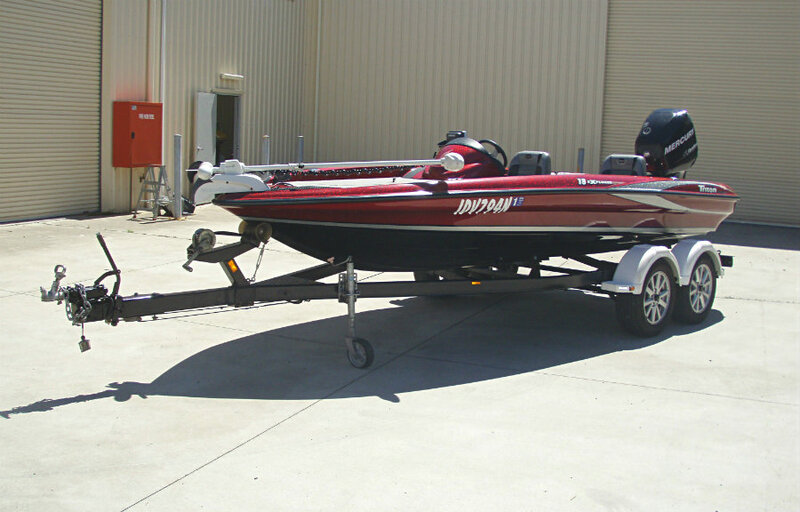 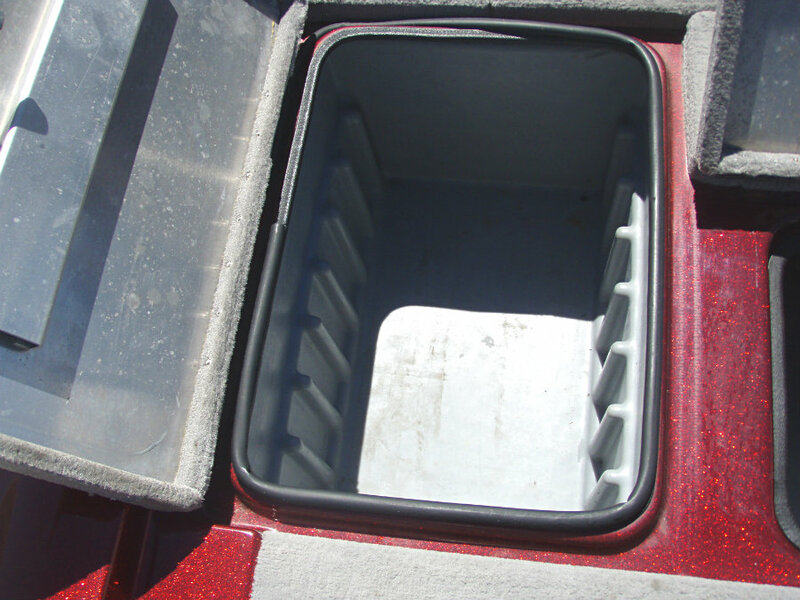 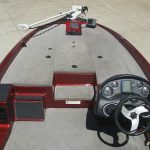 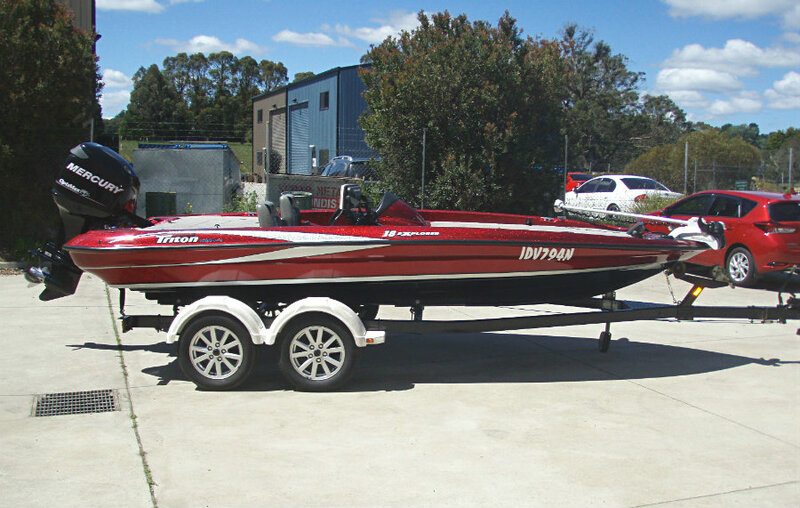 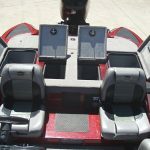 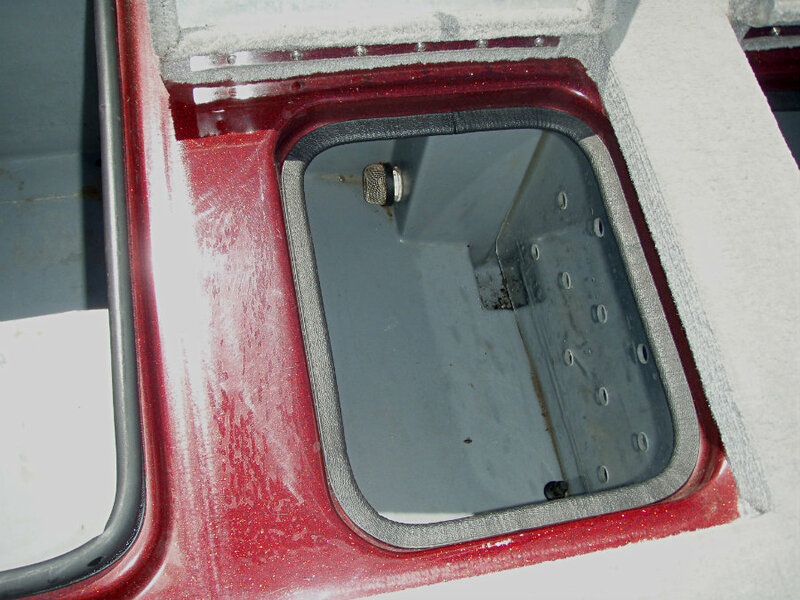 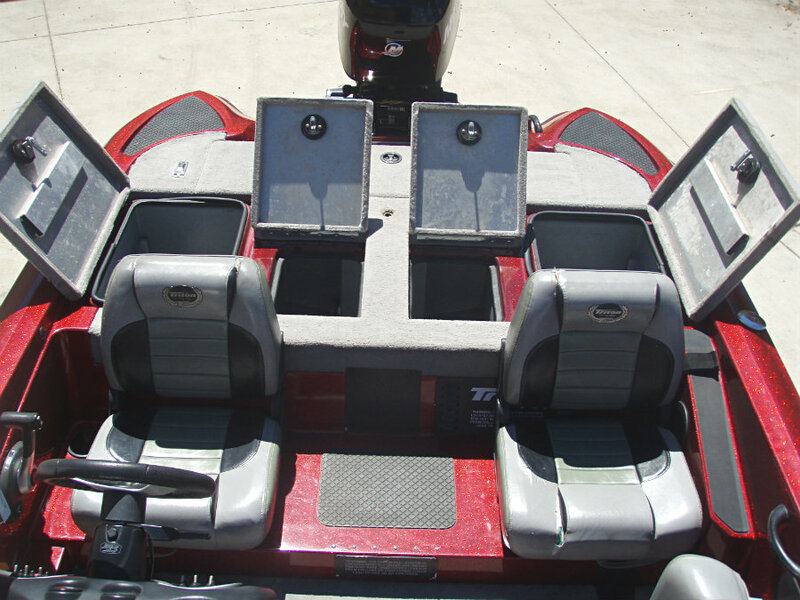 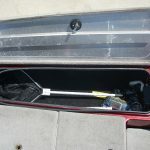 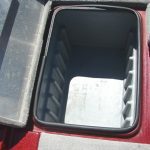 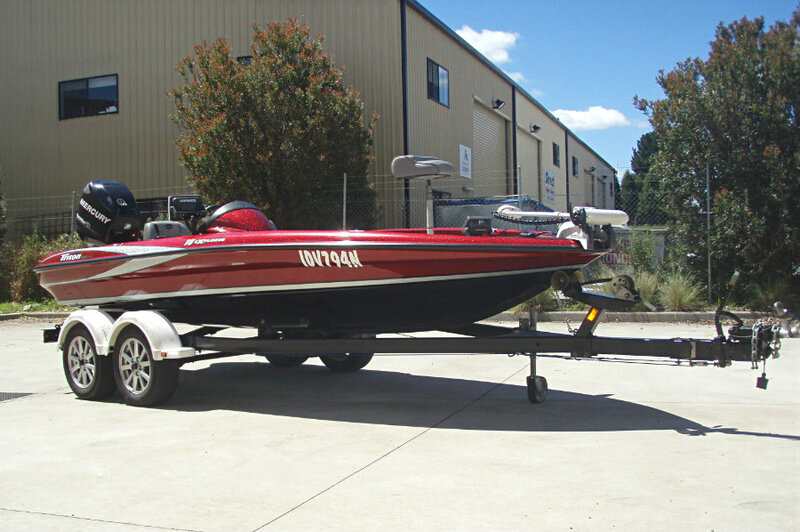 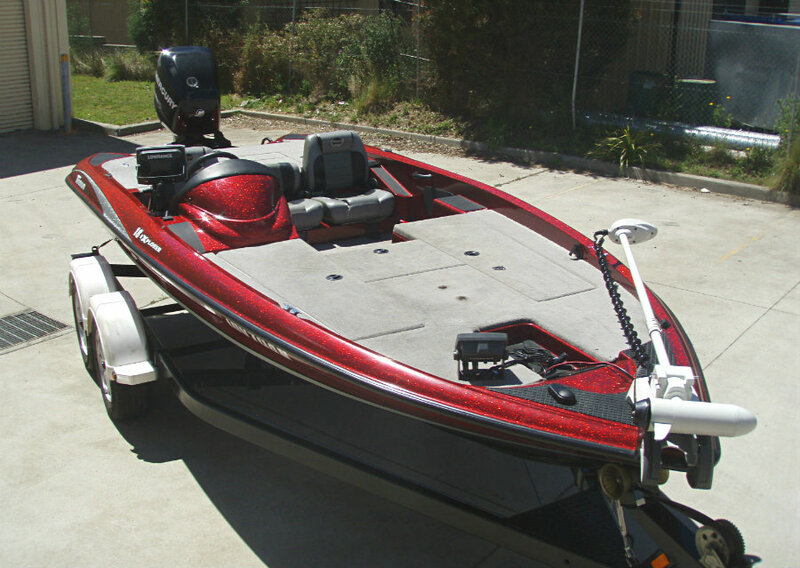 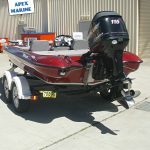 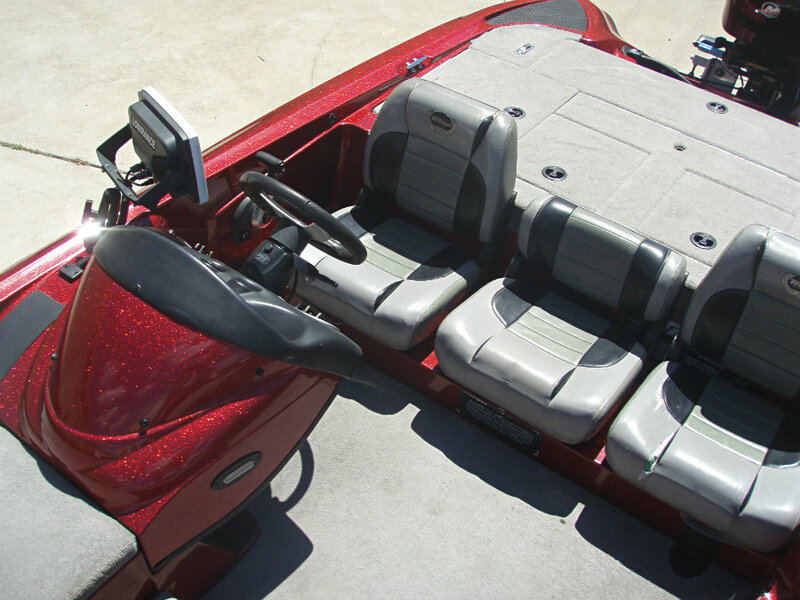 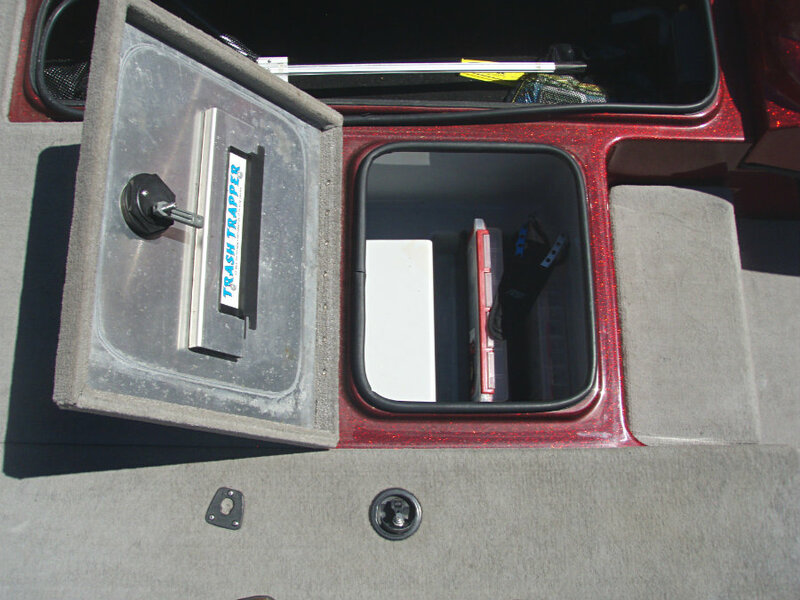 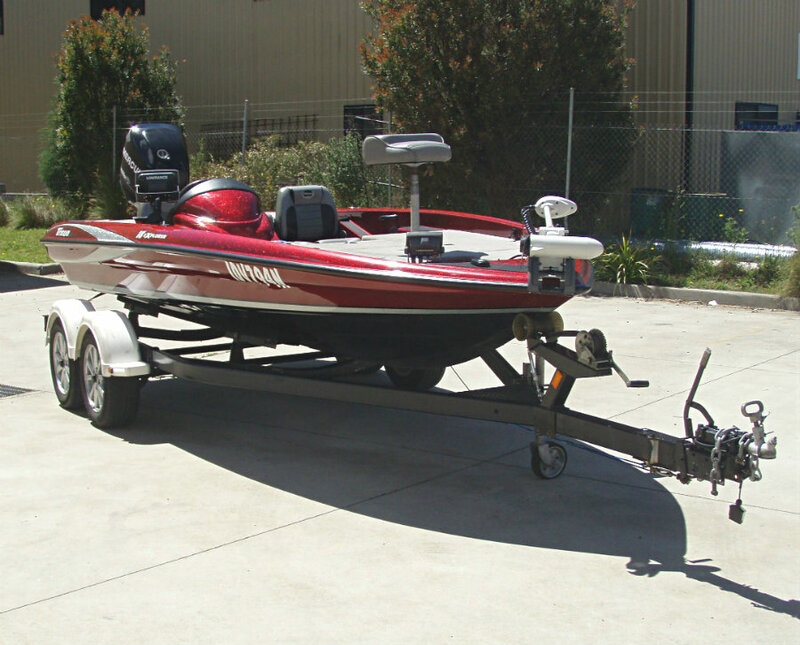 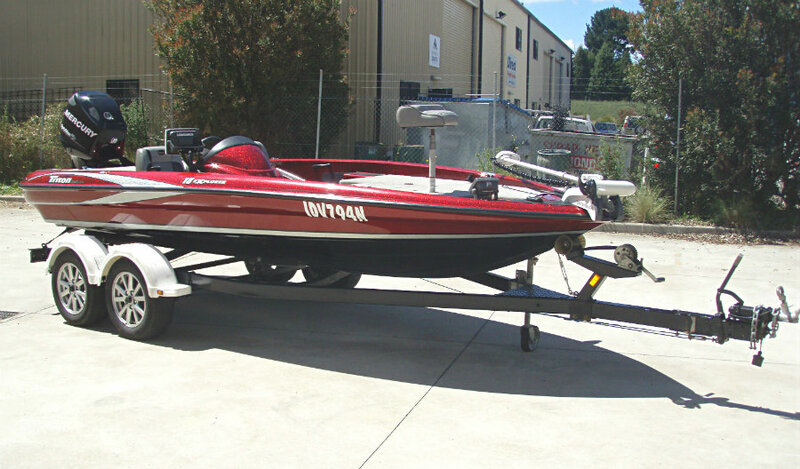 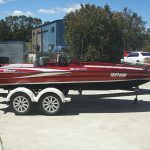 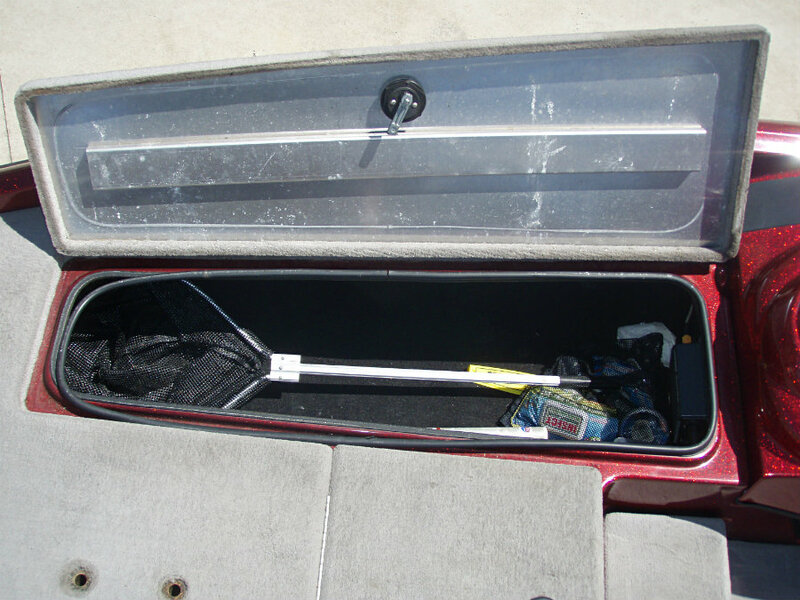 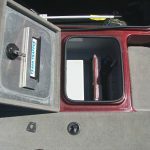 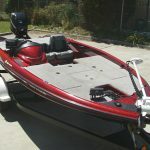 This 18′ 6″ fibreglass bass boat has plenty of room, large rod boxes, large/divided livewell and fuel tank. 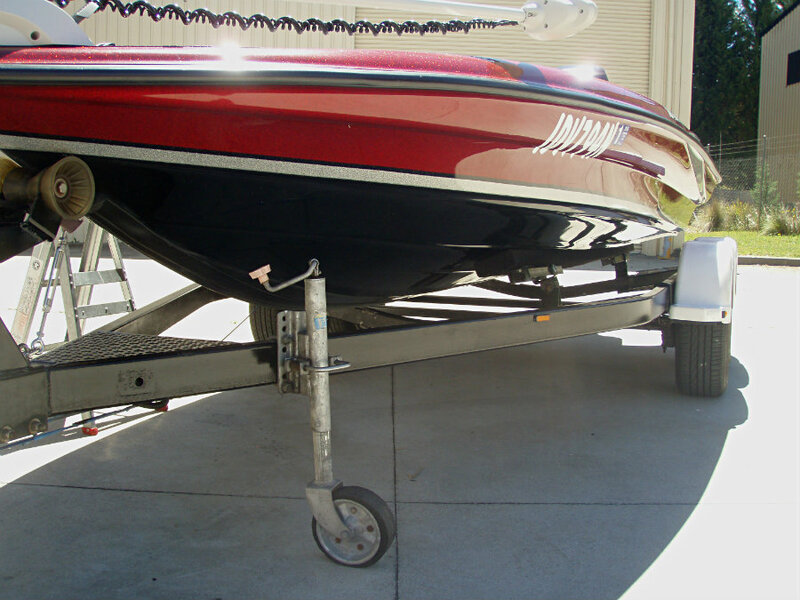 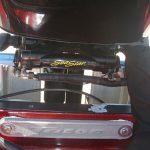 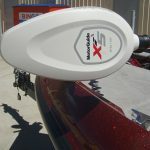 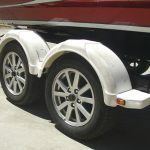 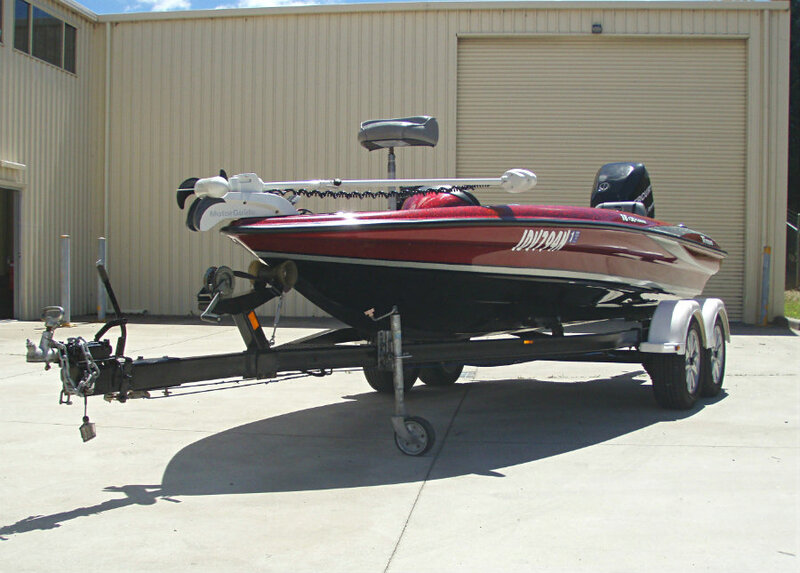 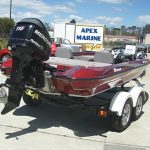 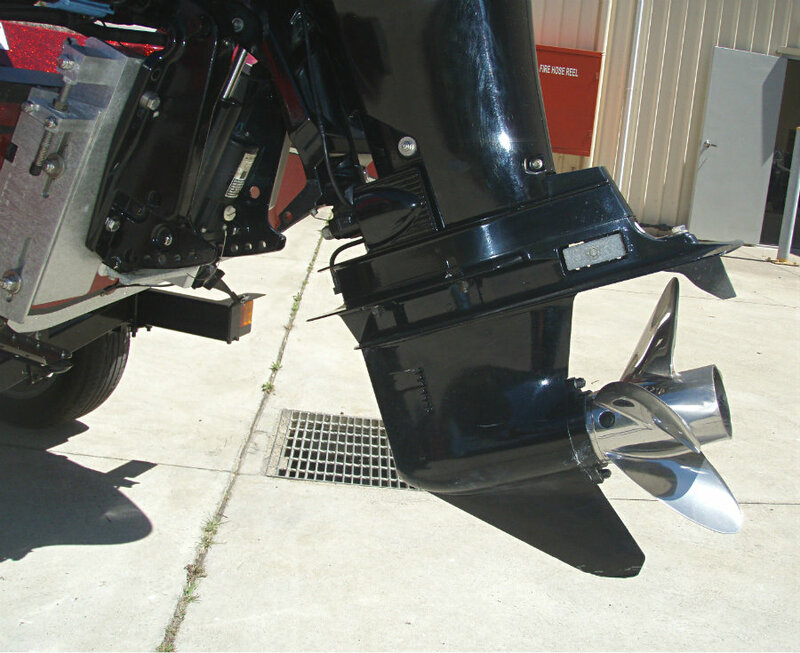 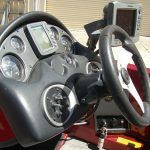 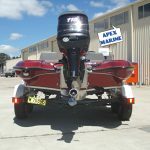 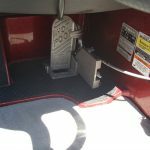 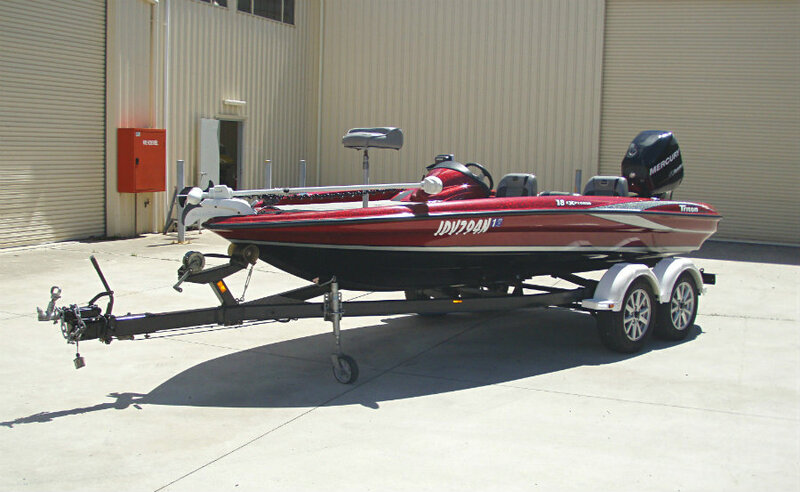 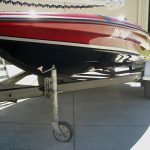 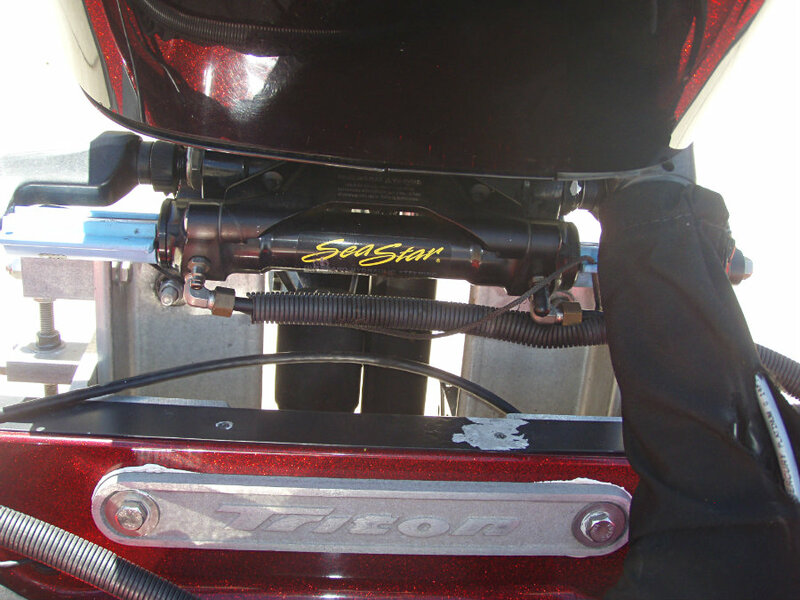 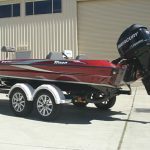 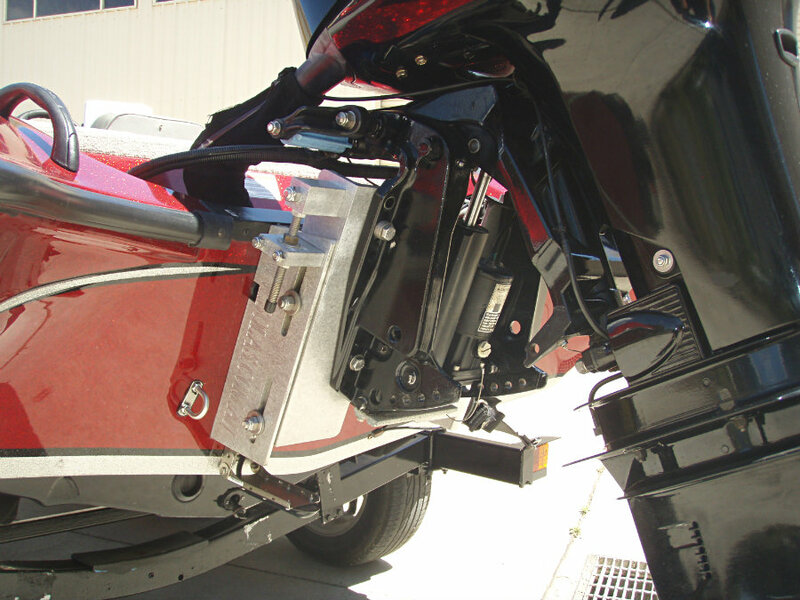 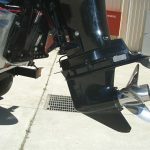 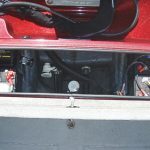 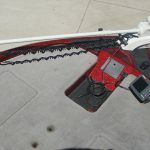 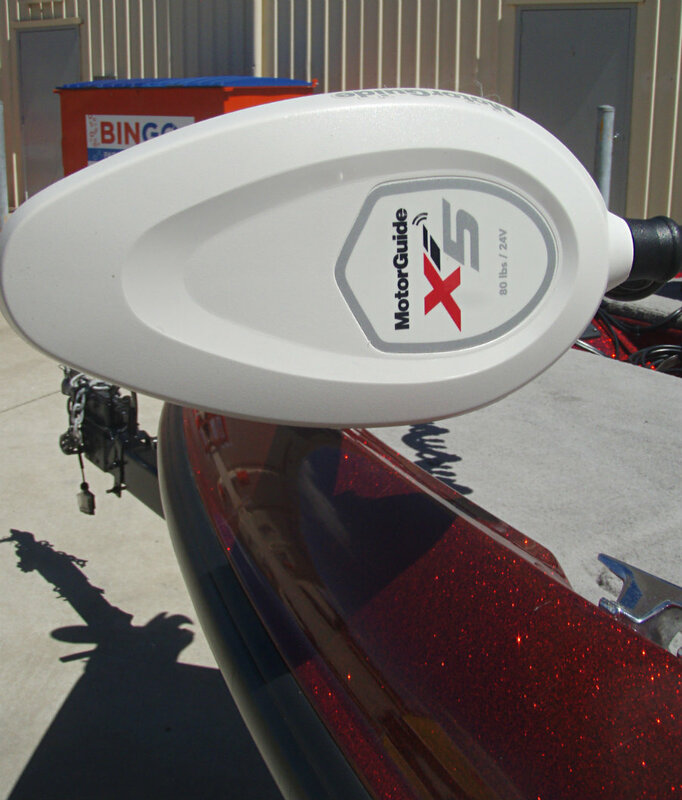 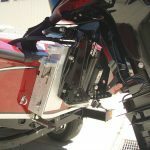 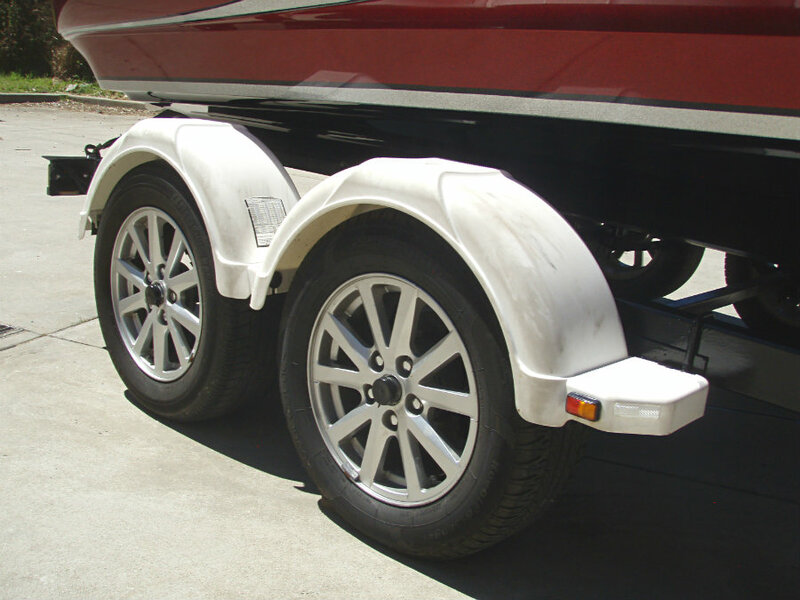 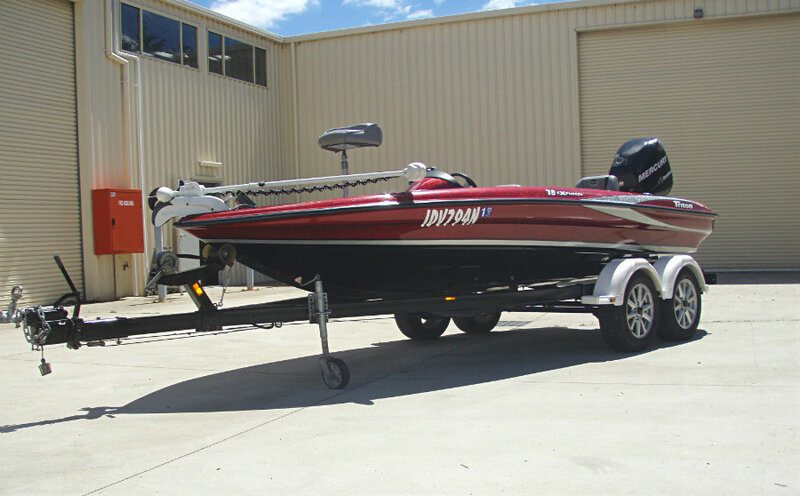 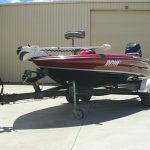 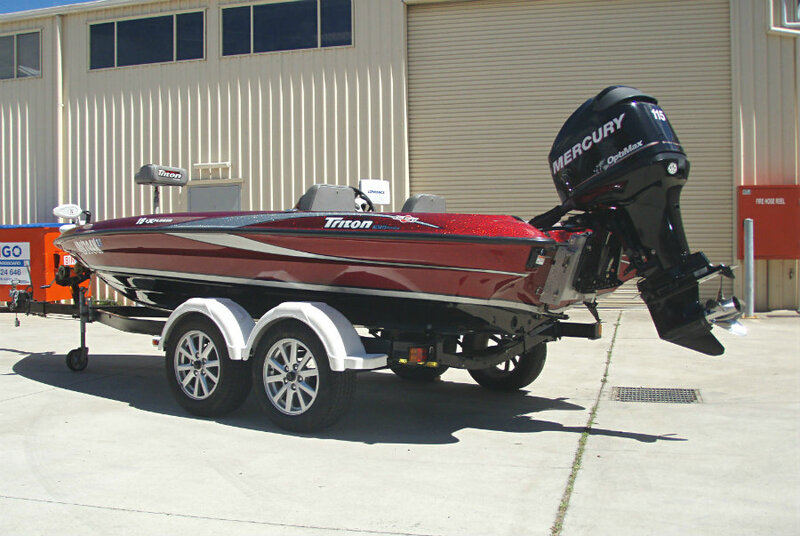 It’s lighter weight makes it great for towing and even better for manouvering in shallow waters, and it handles rough water very well. 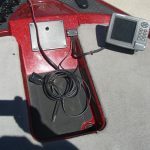 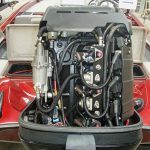 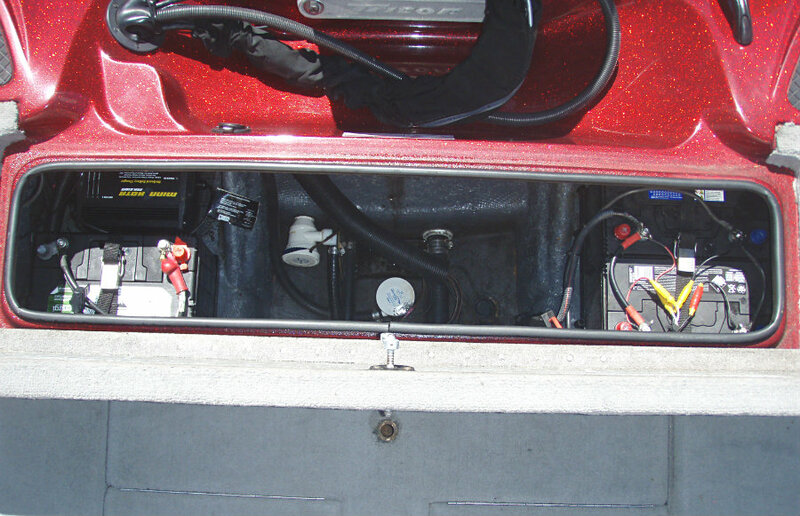 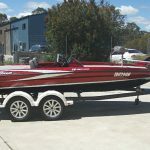 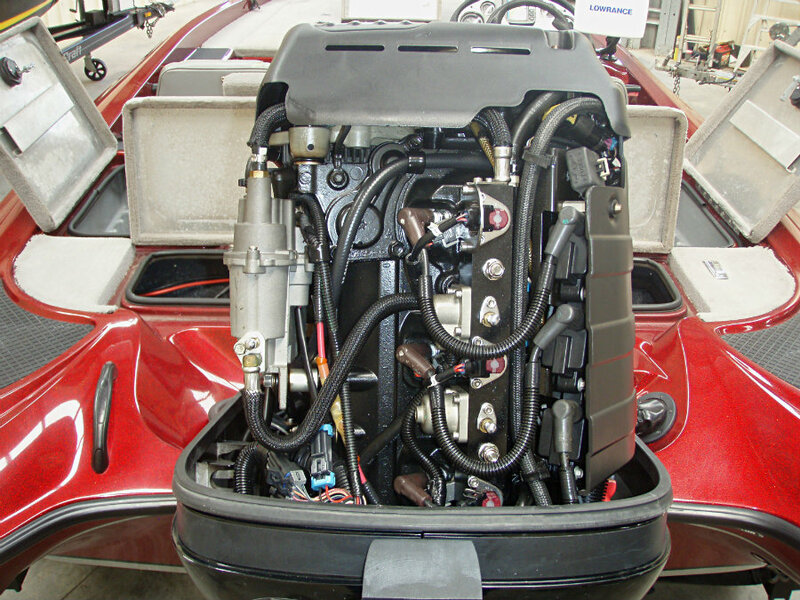 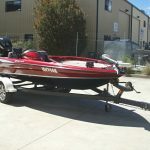 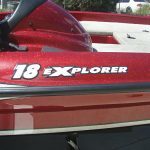 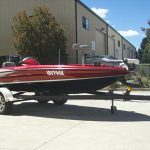 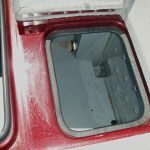 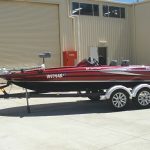 This 18 Explorer is a two-owner boat that presents in very good condition and mechanically has just been serviced, and so is ready for the tournament season ahead.